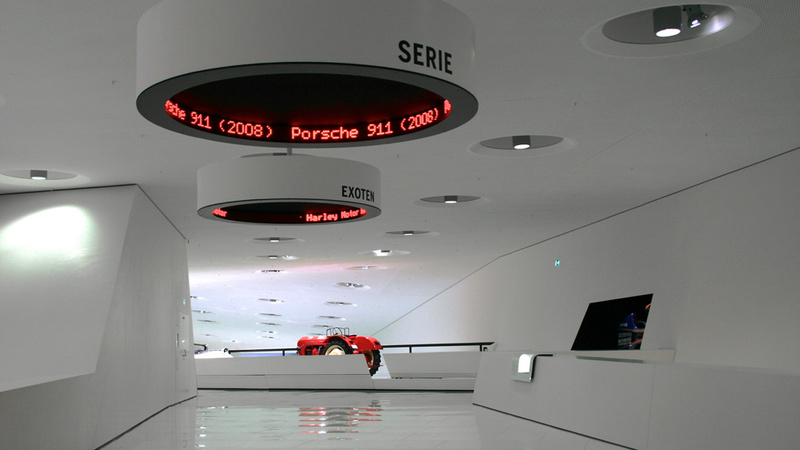 In the new Porsche Museum all media were designed and produced by jangled nerves. 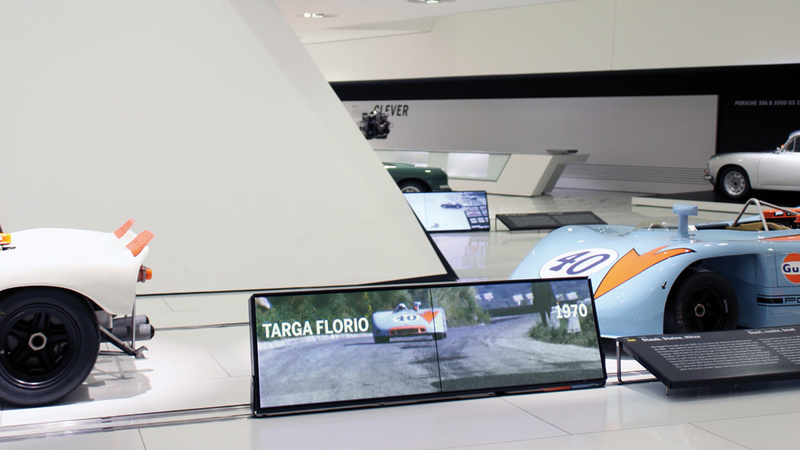 In the centre of the museum the racing history of Porsche is illustrated with the help of movies in the frameless super wide format 32:9. 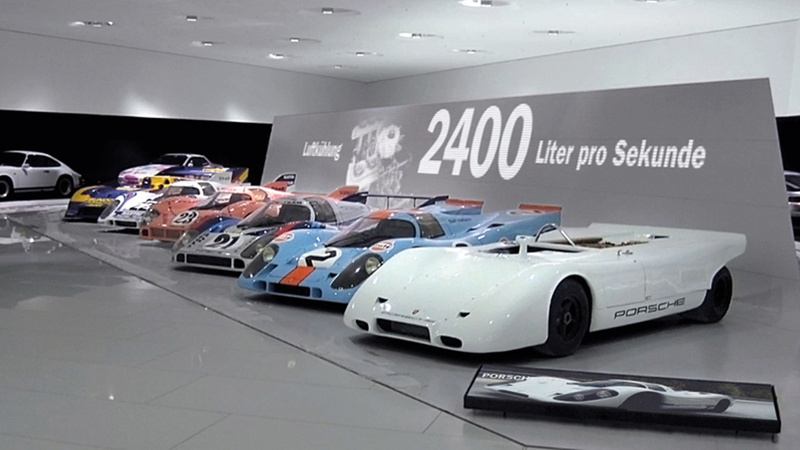 Here, the topics Targa Florio, Le Mans, motor sports, era 917 and engineering are treated in more detail. »Idea tables« – arranged corresponding to subject areas – are equipped with film chronologies, didactical animated movies and interactive research terminals to emphasize the ideas »light«, »fast«, »innovative«, »strong«, »clever« that relate to the theme areas. 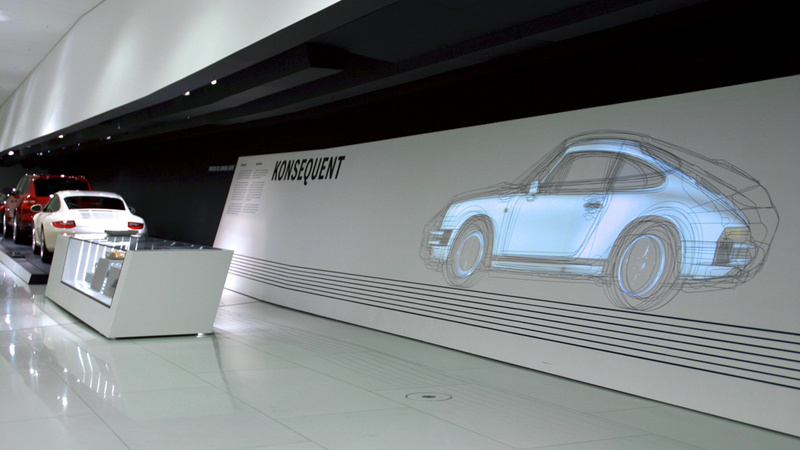 For more than 100 vehicles demonstrative audio profiles were produced in German and six additional languages for adults as well as for children. 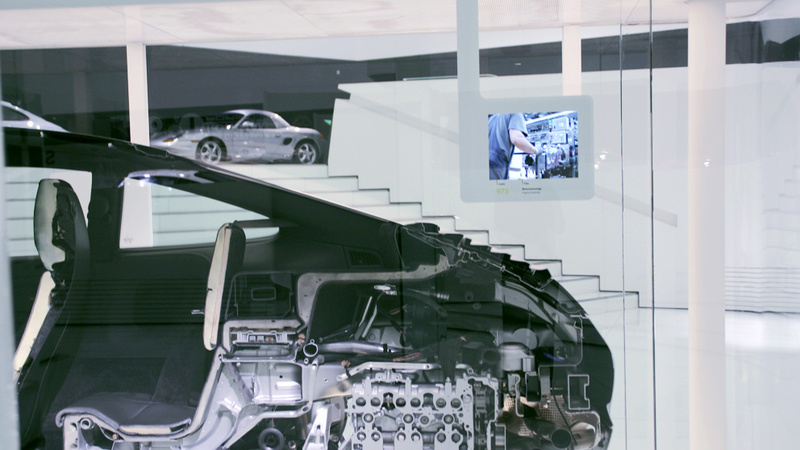 In the new Porsche Museum in Stuttgart the central exhibition unit »How a Porsche is developed« demonstrates via three dissected vehicles today’s fabrication processes for a Porsche to come into existence. Three portrait format movies serving as an illustration precede the cross sections. 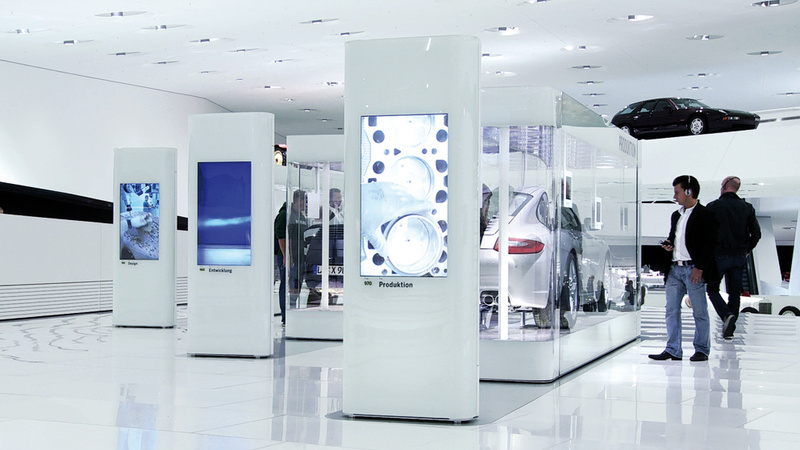 The movies »Design«, »Development« and »Production« were shot in Zuffenhausen and Weissach, to guarantee an authentic and up-to-date glimpse into the company’s core areas. 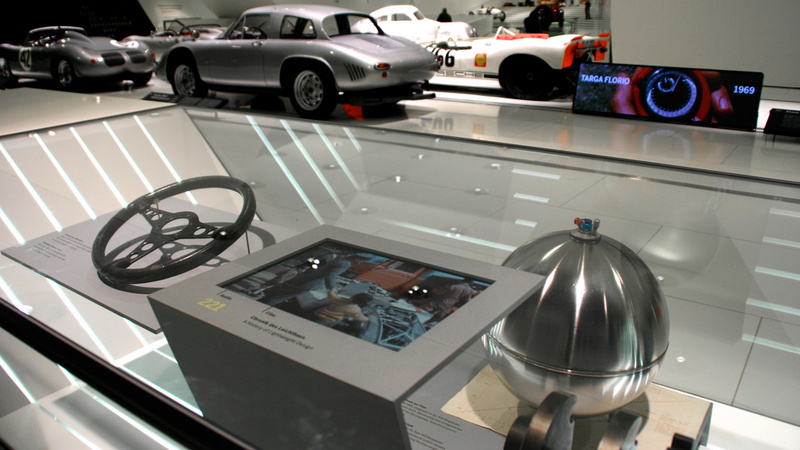 Attached to the vehicle cross-sections numerous thematic movies help to further explore the topics.